It was a humid Monday evening in early June 2009 when I visited my informant Amparo at her home in Park 7. It was my first time visiting her house, as our previous chats were held in the more easily accessible basketball court, which functions as a makeshift town plaza where neighbours meet and gossip. I was a few minutes late for our scheduled TV Patrol viewing; I had lost a half hour going back and forth narrow, serpentine alleys looking for Malunggay Street, stopping every so often for directions. When I arrived, Amparo, a lively, confident woman approaching her forties, was quick to say, ‘Oh! Come in, come in! You might miss the latest!’ As Amparo helped me up the wooden ladder to her home, I had to blink my eyes a few times to help adjust from the dim outdoors to what was unmistakably the bright white glow from the television in the centre of her home. We sat on the floor and started watching the news. Amparo’s melodramatic approach to her life is in a way mirrored by her affective consumption of the news. That evening in June, there was a news report about the first week of classes and conflicts between government and local state schools. The story discussed how elementary school principals were rejecting pupils because their classrooms were already packed with ninety students each. Interviews with officials were interspersed with images of small classrooms, children elbow-to-elbow sharing textbooks and tearful mothers making appeals for help. A few seconds of the report were devoted to a five-year-old boy standing and sobbing in a corner; the journalist explained that the boy was frustrated that he had nowhere to sit in the overcrowded classroom. Footage of the teacher determinedly lecturing inside a cramped, chaotic room closed the story. After this, Amparo turned to me, her eyes blinking, as if holding back tears, ‘I just feel sad for that boy. I just remembered my childhood [...] I remember how I told myself that I would not allow that to happen to my daughter.’ As other news clips played, Amparo continued talking about this report and her personal disappointment with not making it past fifth grade. I tried to console her, ‘It’s okay, it’s okay.’ She said, ‘Yes. I know it will be okay. In fact, when I watch the news, I gain inner strength (lumalakas ang loob). I will not let that happen to my family, I say. And I remember I am so blessed by God that our family is complete, that we have food to eat.’ She cited the previous week’s news about a capsized passenger boat where several children had perished. When she watched that, and other stories of that kind, she said that she realized how ‘lucky’ she actually was, how their family was ‘still blessed by God’. Contrary to studies of compassion fatigue that argue that the news fosters feelings of helplessness among audiences, I observe that viewers can actually derive a sense of personal agency for themselves from being made aware of others’ experiences of suffering. Additionally, lower-class audiences provide the occasional judgment that sufferers in the news are undeserving of either news visibility or significant attention from audiences. This judgment is given when they assess that the news subject’s condition is less grave than their own, more ‘authentic’ condition of suffering. An important idea here is that, similar to their expectations of Wowowee producers, they expect news editors and journalists to prioritize ‘authentic’ sufferers who are truly deserving of news visibility, particularly the suffering Filipino poor. I remember here the forty-two year-old laundrywoman Elsa, who criticized a news report about a fire that ravaged a middle-class subdivision; ‘surely,’ she said, ‘there could have been graver events’ covered by the news. 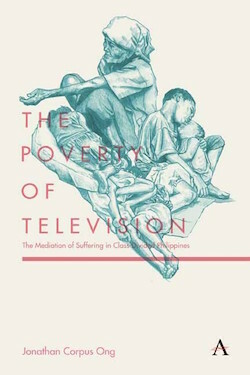 Jonathan Corpus Ong’s new book The Poverty of Television: The Meditation of Suffering in Class-Divided Philippines is out today. 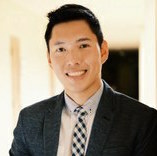 Ong is a lecturer in the Department of Media and Communication at the University of Leicester, and he is currently Co-Investigator to the ESRC-funded Humanitarian Technologies Project, an 18-month ethnography on the uses of communication technologies in disaster recovery in the wake of Typhoon Haiyan. ‘The Good, the Sad, the Ugly’, Radikal Chick [website]. Available at http://www.radikalchick.com/the-good-the-sad-the-ugly/ (accessed 10 December 2010). Höijer, ‘The Discourse of Global Compassion: The Audience and Media Reporting of Human Suffering’, Media Culture & Society 26 (2004), p. 523.